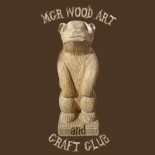 Manchester Wood Art and Craft Club are presently meeting at Withington Adult Learning Centre on Burton Road. We are a club run by the members. We make decisions by having occasional meetings. Anyone who is a member is welcome to come to the meetings. The fee is £76.00 per semester. This can be negotiated if you join half way through the semester, have a commitment that means you will miss a number of sessions, fall on hard times or just want to come along to make sure if it’s really the sort of thing you want to do. I am looking for very simple job to commission. I need a decanter to sit easily on a small wooden plinth (or tray) and inside a small carved out well. This will give the decanter some security from being accidentally knocked over. The decanter has been donated to our Allotment Society by a local family following the death of a gardener/member. It will become a trophy at our annual allotment show. The small plinth is for display purposes but it must be sufficiently large to enable new names to be inscribed over the coming years. Would you be able to undertake this work? Are you abel to quote me, please?